October 26, 2012  At least 67 people are dead and hundreds of homes have been burned, in a new outbreak of inter-communal violence in Myanmar, the country also known as Burma. 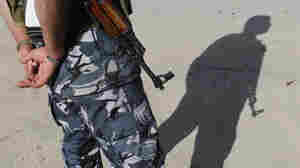 It's the second bout of violence between Buddhists and Muslims in northwest Myanmar, near the border with Bangladesh. More than 80 people died in June, and tens of thousands of Muslims have been living in squalid conditions in refugee camps since then. October 23, 2012  A 1,000-year-old statue, a vine-and-moss-covered temple complex and a country's turbulent history lie at the heart of a legal battle pitting the Cambodian government against Sotheby's auction house. 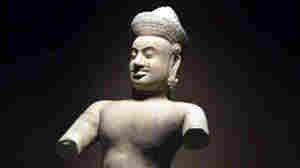 Officials say the statue was looted from an ancient Khmer temple; Sotheby's says that's not provable. October 22, 2012  Indonesia is the world's most populous Muslim-majority nation. President Obama spent part of his youth living in the nation and residents cheered him in 2008. This election, with a focus on U.S. economic policy and its role in the region, they are watching the U.S. election campaign — and the fate of Obama — closely. October 15, 2012  For more than half a century, former King Norodom Sihanouk dominated his country's politics, from French colonial rule to independence. 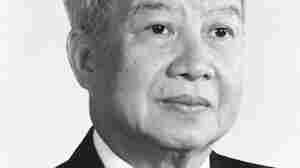 He is also known for his unsuccessful efforts to keep Cambodia out of the Vietnam War and his alliance with the Khmer Rouge. "The King Father," who thought of himself more as an artist than as a politician, died Monday at age 89. October 1, 2012  A Cambodian court has convicted a pro-democracy journalist on charges of inciting a tiny village to secede from the rest of the country. 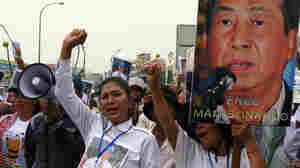 Critics say the case is part of wider efforts by Cambodian Prime Minister Hun Sen to stifle dissent, and is a sign that the country's democracy is regressing. 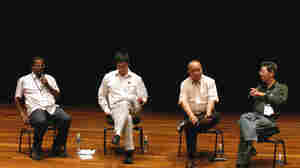 September 24, 2012  Singapore's government can still detain citizens indefinitely, without charges or trial, thanks to colonial-era security laws. But in a sign of changing times in the wealthy Southeast Asian city-state, many of those who've been held are now speaking out and challenging the laws after decades of silence. 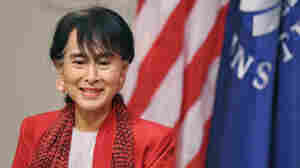 September 18, 2012  The opposition leader in Myanmar arrives in the U.S., where she is being feted as if she were a head of state. She will receive honors that include the Congressional Gold Medal. September 17, 2012  Lower taxes weren't the only thing that attracted Facebook co-founder Eduardo Saverin when he made his new home in Singapore in May. The World Bank lists Singapore as the easiest place to do business. Increasingly, money and talent are drawn to the city-state's tech sector. August 22, 2012  A wave of kidnappings and an alleged bombing plot — both linked to the uprising in neighboring Syria — are shaking Lebanon's precarious sectarian balance. But the foreign patrons of Lebanon's political factions are preoccupied with Syria and appear unwilling to bankroll a proxy war in Lebanon, at least for now. August 16, 2012  Ra'ed was 19 when he was drafted into Syria's elite Republican Guard unit two years ago. 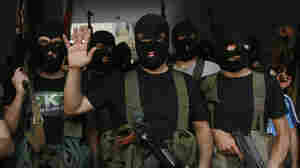 The Sunni Muslim conscript says his commanders, who were Alawites, never trusted him. He was asked to pose as a defector, and ultimately he joined their cause. Now in Lebanon, he fears being returned home, where he believes he would be killed. August 15, 2012  Syrian air force jets fired missiles at a hospital in Aleppo, amid continued heavy fighting in the country's largest city. Rebels claimed responsibility for another bombing in Damascus. Meanwhile, a U.N. envoy met Syrian officials in the capital, pleading for greater access for humanitarian aid workers in the war-torn country. August 6, 2012  Syria's Prime Minister is among the latest officials to defect after fleeing the country. Opposition leaders say they are trying to help many other political and military figures who also want to defect. August 6, 2012  Syrian rebels say Prime Minister Riad Hijab fled to neighboring Jordan just two months after he was appointed to the post. The rebels say three other ministers also defected. August 6, 2012  Political and economic changes in Myanmar have fueled a wave of labor unrest in the country also known as Burma. Myanmar is in the very early stages of industrial development and has some of the lowest wages in the world. Wages are unlikely to reach levels seen elsewhere in the region anytime soon.